I have been asked by someone before, is SeoClerks a scam and now I think it is time to publish a review of SeoClerks. It has been on my to do list for a long time and I have now had a few queries about SEO services. Price: Free to join for buyers and sellers. SeoClerks is an online market place brought to you by Ionicware for internet marketing services. If you have an online business or an offline business with a website you will find this SEO market place an amazing resource to outsource any work that you need done. There are a lot of freelancers to choose from and you can get in direct contact with sellers to discuss your needs. Very often if you cannot find something to exactly suit what you are searching for sellers will happily create a unique package just for you. I have done this on a number of occasions. In addition, they have an amazing community discussion forum where you can ask questions and online marketing experts will answer you. The discussion forums are moderated and are completely spam free which is a breath of fresh air. I am a regular on their community discussion forums and I love browsing through and reading through the tips, tricks and tutorials that expert members are posting there. The owner, Jordan DeLozier, is also a regular on the discussion forums and available to talk which is something rare in this day and age, the only other place I have found where there is such amazing one on one contact with owners online is Wealthy Affiliate University. This makes this not just a great place to purchase online marketing services, but it is also a place to network and to learn more about online marketing. The information shared on this website is mind-blowing… and it is all freely available. Joining as a seller is also free and you can offer any service you can think of here. You can set your own prices, delivery time and much more. So if you are looking for a way to make an extra income this is certainly a good option. Using an online marketplace like this offers security to both buyers and sellers as everything is handled by SeoClerks. If there are any problems the moderators and Jordan are there to assist you. Who is SeoClerks suitable for? Anyone that works online will benefit from SeoClerks. No need to even buy or sell anything, you can just head on over to the discussions to learn from the experts and ask questions. Freelancers will benefit from joining a legitimate online marketplace and buyers can search through loads of services and sellers to find the right person to outsource work to. Take note that Ionicware also offer the websites ListingDock which is an online marketplace for almost any product and CodeClerks which is an online marketplace for coding and programming. If you sign up with SeoClerks you are have the same login in details for all three websites. Communication between sellers and buyers is made super easy with private messages, interaction in discussion forums and message options on orders too. Sellers and buyers have ratings so you can easily choose who you want to deal with. In addition there are X rated sellers too, these are sellers that the SeoClerks moderators have personally chosen as excellent sellers. Being an online marketplace that is free, anyone can join and add services. This has pros and cons. It is important to do proper research and search around for good sellers. Some services being offered look like they can be detrimental to your online business, things such as cheap bulk backlinks, cheap bulk traffic and cheap bulk social followers are dangerous in my opinion. Make sure you know the difference between white hat and black hat techniques and don’t just go for a cheap price because you will get yourself into trouble. If you sell services on SeoClerks they keep a percentage, check these details on the seller’s guide. I put this as a con but every online market place takes a cut from sales, it is how it works. Plus, the safety of using an online market place and being more visible to customers far outweighs the negative of having a small fee taken off sales. They have a how it works section for sellers and for buyers, as well as the community discussion forums where there is a lot of information available. Support is excellent for buyers and sellers. If you have any problem you can post in the community discussion forum, send in a support ticket on their website or you can email SeoClerks. I have always found the support excellent. Not at all, SeoClerks is a legitimate online marketplace that has a great level of service. I have been a member and a buyer since February 2015. I have not sold anything on their website personally but there are many happy and successful sellers that I talk to regularly in the discussion forums. I have also become Facebook friends with my favorite seller, BarryInSiam. This is simply a great place to be, whether you want to make money selling services, purchase services for your website, make money being an affiliate, learn something about online marketing or just chat and network with other people that work online. I love browsing this marketplace and in the future (when I have more time on my hands) I am planning on offering some services here too. There are lots of people that have made some really nice money here and there are a lot of sellers that have made a full time career from this website. Here is a guy that has 1000 affiliate and has made $62 500 in affiliate sales in 3 years. Like he says in his post it has taken time to build up to that amount in affiliate sales. It is slow in the beginning and then it pays off over time. Once again I don’t highly recommend many things, I find most things online sorely lacking but this is one of the few websites I really love. For me there is so much appealing about SeoClerks so head on over if you want to make some money online selling services or you need the best SEO services for a small business. 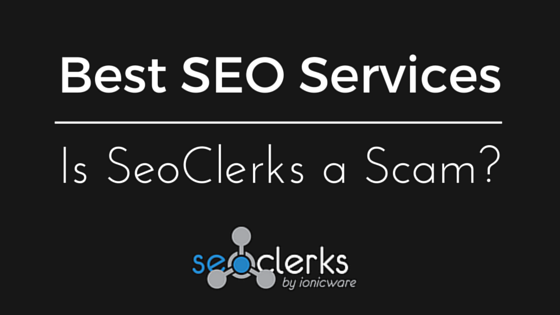 Have you heard of SeoClerks before? What do you think of them? Leave a comment and let us know what you think! Ride the Pokemon Go Trend! All I can say to start off with is WOW! Your about video literally blew me away. I am also an addict in active recovery. I have been clean and sober now going on 8 years, but we addicts know well that recovery from addiction is a life long journey. One day at a time. I also took a quick look at your website living with addiction and was so encouraged by it. As far as the structure of this website, I absolutely love it, you made it very user friendly and very informative. Through watching your about me video I now have more confidence that I to can succeed in my online journey. I want to incorporate a video on my website also but do not know how at this point. It will be an instructional video and a bit long so the idea of putting it up on the website with WA only allowing 8MB upload for media I can not do it that way. If you could please help me on how putting up a video on the website is done would be greatly appreciated. 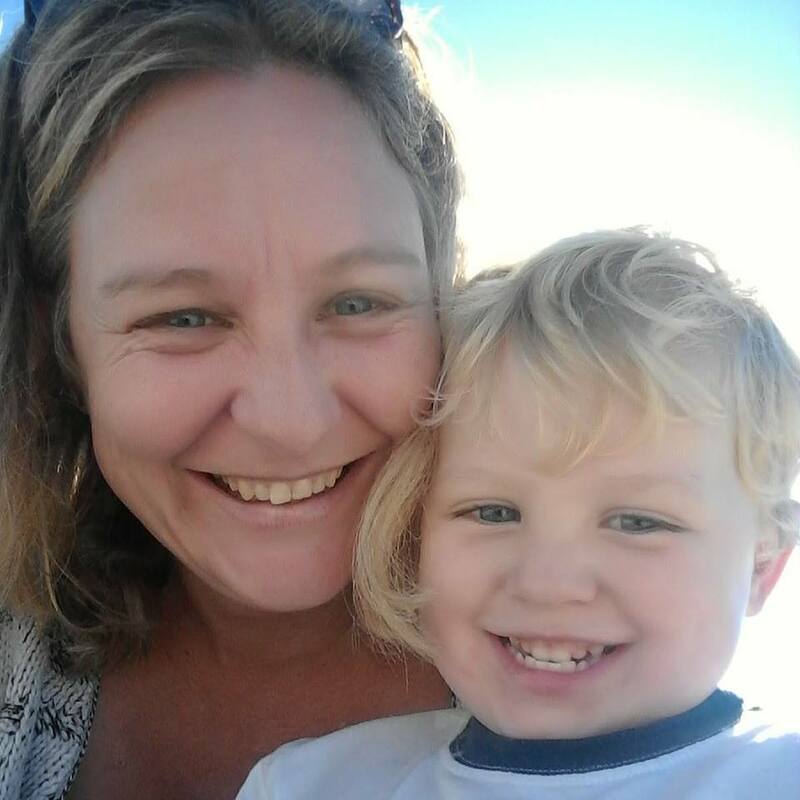 My first website is in the process of being transferred to WA but I have a new one I am working on, so any suggestions from you are welcomed. The website is still in construction so I am not putting it on any search engines yet nor am I doing any advertising for it at this point, but if you would take a quick look and give me some feedback I would greatly appreciate it. By the way I love your accent and do not let the jerks that you may run into on the internet get to you in anyway I feel that you are doing a great job and I thank you for being honest about being an addict and again you gave me encouragement and boosted my confidence level! Have a blessed day. Adding videos to your website helps so much with ranking, engagement and conversions so yes go for it! Here’s how I do mine, I upload my videos to Youtube and then I embed them on my website. Here is some training that I published at Wealthy Affiliate University on how to use Youtube and here’s an article I wrote on my website on how to embed a Youtube video into your WordPress post. And yes of course you can succeed online, just follow the steps and training at Wealthy Affiliate University and ask for help and feedback. Loads of people quit before the miracle happens. Get going on your social networks, add in Youtube, start email marketing and just go for it. It is amazing when all the little income streams start building up. Let me know if there is anything else I can help you with, I will happily see if I can point you in the right direction. Your article is the first time that I have heard about SeoClerks, but I find for me it’s hard to find the time to surf around. I have found it easier to find resourceful sites such as yours and bookmark them to have a few good places to go to for updates than to surf around blindly. Taking recommendations from you and other sites like yours looking to help others, is the best way I have found for checking out other sources and places. Once again thanks for the update. It is a pleasure and I am so glad you are finding value in my website reviews! It looks like SEOClerks is a new site to add to my ‘Website Tools’ shortcut bar. As I am getting further into online marketing I sometimes feel like Alice “how far does the rabbit hole go?”. With so many options, do you take the blue pill or the red pill? Bascially it just gets difficult to filter through the garbage online to find the good information that will help with my journey. Seo is definietly an area I need to focus on and this site looks like the ideal place to go and network. So I thank you for helping carve a path for me to follow, it cuts down my searching, and time saved allows me more time to get my work done for my site. You’ve nailed it there, that is exactly how I feel. It is like going down the rabbit hole, there is so much to learn and every time I think I am really getting to understand how everything works I read something and I suddenly realize there is a whole new side to it. This really makes online marketing an exciting place to be! Check out their community discussion forums if you love learning, you will see a whole new side that will blow your mind. This could be one site to consider when I eventually come to scale my own business up. I wonder what techniques these SEO service providers use. I expect some of them outsource it to cheaper places like Fiverr. Maybe some of them use specific tools as well, such as social media management tools. But article writing is a key skill that can be hard to find, so hopefully there are a lot of good writers on there. I think writing will probably be the first thing I will outsource, because writing can be so time consuming. What do you think? Do you use backlinking services from SeoClerks, even though the advice now seems to be that we don’t need backlinks? EliteWriter’s pricing is great, lead time is great and I have gotten to know him in the community discussion forums to be a great writer with really good work ethics. I have mixed feelings about backlinks. I think they do actually make a big difference to your rankings, however the risks involved in buying a bad service is incredibly high and this is why I think Wealthy Affiliate advises against backlinking strategies. It is a time consuming activity that could backfire if you do it incorrectly. I don’t buy backlinks as such no. I have on a number of occasions purchased SEO Packages from BarryInSiam. These packages do include some backlinks. Each time the results have been mind-blowing! And of course something to keep in mind that is really important is that if you don’t put any effort into your on-page SEO backlinks and SEO packages will do nothing for you. Buying services like this will not magically put you on page one, the majority of the work will need to be done by you and backed up by an SEO service. I hope you enjoy the eBook I wrote, if you have any questions just let me know! I hope to see you in Best SEO and Online Marketing Services! Hey Lynne, great review on SeoClerks. This is the first time I heard of it, but from your review, it sounds like it’s worth a try. I’ve done freelance web development for other small businesses and I’m trying to do one for myself. I’m hoping to do some affiliate marketing and it sounds like they could help me with that. I just love that community too, it reminds me in a lot of ways of the WA community! Thanks for the great article! I have been interested in SEO for a little while now but I am cautious to test many services. I like to truly understand something before exposing myself to it. Your post made me want to take a look asap! The reference to Wealthy Affiliate gave a lot of credibility as well. Can you detail a bit more about the “Phoenix” service you mentioned at the beginning? Phoenix Power Rising? Well you can read my review here. It is an awful scam, please don’t sign up! This is the first time I heard of SEOClerks. Selling and buying aside it seems like it’s another good place to hang out for information. I’ve just clicked into the site and I like the community forum they have there. Good for people who like to learn and grow like me. Thanks. Yes, even if you have no interest in buying or selling services you will find great value in the community discussions! I have never even heard of SEOClerks yet your review makes me want to go check it out. I have recently become interested in outsourcing (as a freelancer) and this looks like a good place to really start on that; I’ve taken a couple contracts from UpWork but they only pay about $5- $10 for a 1,000 word post so that is not worth my time. Thanks for the introduction, I’ll definitely be checking this website out! Here you can set your own prices for your services. I have done a review on Upwork and I’ll be honest here I found them lacking. I believe the level of service has gone down! After struggling for a few months with my website I’m glad you have given a really good detailed view of seoclerks as this can take me past a page 2 road block. Where do you suggest I start with seoclerks? I would really recommend that you check out BarryInSiam’s profile. I love all of his services and they have worked well for me. The best part is that if you are unsure you can just chat to him and his guys and ask for some direction. I love that he is always so willing to advise and chat about my websites. I have learned so much from him. what an awesome review Lynne it really is. Do you know something, I have never even heard of them before reading this cool review, maybe I’ll even try this out and see where it gets me as I have to do something lol. thanks for this very informative post AND for opening my eyes to the possibilities. It is a pleasure Simon 🙂 I would really recommend having a browse through their community discussion forums, you will learn loads and of course networking with other online marketers always helps! it is spam free community discussion forum for sellers and buyers to network,it range of internet marketing services and sellers to choose from. It is enough for me to now it is legit. Thanks. I guess just like in any marketplace, it’s important to find out who the legit sellers are. How do you suggest I could find those who are legit? Just by ratings and maybe looking at customer reviews? Is that enough, do you think, or are there other ways I could find out? I agree with steering away from cheap services, like some of those that you mentioned, for traffic and others but i was wondering what kind of trouble you meant? I’m new to all this online business things and I want to learn what risks there are as well. Thanks!! The best way I have found is to look for Level X sellers, so for example Level X3 or X4. A Level X seller is hand picked by the staff of SeoClerks so you can be sure that these sellers are really good. Then yes reading reviews and recommendations will also help you. Reyhana the risks I am talking about are for example buying bulk cheap links. These methods won’t work to rank your website. They will without a doubt be low quality, spammy links. There are many scams out there in many shapes and forms. People are constantly coming up with new ways to get our money from us. It always pleases me when I can read about such sites that are genuine and having reviews from normal people certainly helps us to trust in them before investing our hard earned cash. Yes it is a pleasure to find new and exciting places that are honest and genuine! I am also tired of the amount of scams online. SeoClerks is one of the few great marketplaces and a lovely place to network. This is such an excellent review on SEOClerks. As someone who’s starting out in starting an online business, I’m always looking for things that can help me achieve my goals. I love the community over at WA, and if SEOClerks is anything like that, I’m definitely going to check it out. Yes I suggest you do! The community there will be an eye opener for you I promise. Wealthy Affiliate is awesome but a lot of the members are newbies, the community at SeoClerks are made up mostly of experience online marketers that have been in the industry for a while. For networking it really is a good place! Isn’t SEOclerks way similar to various other sites, I mean there are other sites like that as well, how is this SeoClerks different from any of those website ? Have you bought anything from the site like were you a buyer, and how was the experience of the quality of services that they provide? Actually I find it quite different. I like the level of activity and I like the advice that is given. If you check the community discussions you will see that the experts there really are big on white hat techniques. I have visited other forums at market places and found a lot of the advice and discussions are black hat. And yes I have made some purchases there and I have had nothing but great experiences. SEO Clerks looks and sounds interesting. Probably a lot of blackhat stuff going on, but as long as you can stay away from buying low-quality links, I think you can learn a lot. Hmm. Maybe I’ll at least become a member. Thanks for the review, Lynne. Yes you will need to spend some time looking around the services, some are not so great but there are some truly amazing sellers that do a brilliant job. Looks great to me! …and it’s free on top of it. Seems like a win win to go ahead and try it out. I am glad I found this review on SEOClerks. I am going to take your advice and go ahead and sign up. SEO has always been the one thing that matters and the one that I know the least about. Oh yes, you will learn loads and you can ask the experts there anything that you are unsure about! I hope to see you there soon. You have given an extremely nitty gritty survey on the SEO Clerks program which is something that is snuck past my net! I can perceive how this project functions, and seems like an extraordinary thought for outsourcing if individuals need occupations doing on their online organizations however don’t have sufficient energy themselves to do them. I additionally concede to picking the right merchant with regards to doing the occupation appropriately on the grounds that I once utilized Fiverr to create a thousand guests to my site, however they were untargeted and originated from untrusted spots on the web. No doubt, I had hits, yet not one single lead or deal! I will give SEO Clerks a shot, however will likewise be taking after your recommendation in the meantime. I have used Fiverr before but the feeling I got is that SeoClerks is just way more professional and targeted towards the services that I need for my websites. SeoClerks is wonderful and I hope you find them as useful as I have. Like I said in my post look for Level X3 and up sellers. Level X sellers are handpicked by SeoClerks as being top notch so this really does help you find quality sellers easily. I have never heard of SEOClerks until now. You can never have enough information on any particular topic. This post has so much knowledge and in depth analysis but the video is what seals the deal. This is perfect for all of us that are trying to increase the quality of the SEO on our websites. Now I have another SEO resource thanks to you. I appreciate the help! It is a pleasure. I always love bringing great things to my readers! Excellent SEO services. I have just recently made my own website and this could come in handy. I think I will follow your site posts. To use them as a blueprint. Thank you so much and I will let you now how it goes. If all goes well I will share this post on all of my social media accounts. Yes have a browse around their website, I am sure you will find a lot of their services very useful! Hey there, I really liked your review, and had a good read. I always find it interesting and somewhat helpful when I read about SEO, and especially about services on this subject. I am happy that I found your website and this review, and I am happily going to try it out, and hope to benefit from this. SEO is something that you better know if you are planning on building up a profitable online business in the future. I am glad you enjoyed this article about SeoClerks. It is another great platform to network and to learn. I hope to see you there. Ahh, this is exactly what I’ve been looking for. I’ve been looking to outsource some writing and this place seems like the perfect place for that. Do you know what people usually charge for a 1000 word article? It would save me a lot of time if I can get some quality content for a fair price. Also, have you ever had a bad experience outsourcing writing? The last thing I want to do it pay for something that my readers won’t like. Thanks for the review, this was very helpful. Well considering that there are so many freelancers there and each freelancer sets their own prices it is hard to say what the average prices are. I can highly recommend EliteWriter, he writes really good content and his wife works with him so they have a nice way of being able to cover all sorts of content topics. And no I haven’t had a bad experience outsourcing writing simply because I am a control freak and have researched the person very well before using them! EliteWriter has various prices ranging from $3 for a 250 – 300 word article, if you don’t see the length of article you need just send him a message and tell him what you would like and he will give you a quote. It sure sounds very promising. I’m just so cautious about ‘jumping’ from one program to the other. I know that SEOclerks is not a program per se, but is it something I can use in conjunction with Wealthy Affiliate for instance? In other words, can it serve as a complementary ‘service’ to other programs one might be involved in? Well it costs nothing to join and you can earn affiliate income if you promote them so yes you can make use of them to make money, plus you can use some of the sellers to juice up your rankings of your website posts which is really awesome. An excellent review and thank you kindly for writing it. I have never heard of this company/forum before and since I am ever so keen to improve and keep on learning and improving my SEO skills I am signing up ..INFACT Just taken a break in writing this comment to sign up, looks like a seriously awesome market place for specialist seo services, and yes, Barry’s services look rock solid! I can promise you that Barry’s services are rock solid, I have made use of him loads of times. I look forward to seeing you in the community discussions! very convincing article on Seo Clerks, this is the first I have heard of this. Sounds like a great opportunity to join this, but how do they make any money if its free to join? I will keep this in mind , still not sure if this is something I wish to do or not yet but I am seriously considering joining to find out if this will improve my own business. It is free to join, free to take part in community discussions and of course free to be an affiliate. If you want to sell SEO services there it is free to list your services but all sales the website takes 20% commission which is fair. So the website makes money from all the transactions that take place within the marketplace. Yes I do believe that a lot of the services there will improve your business, it certainly has for me. Just make sure that your on page SEO is top notch before ordering any services. The reason for this is that no off page SEO will work without your on page SEO being in place first! First off, never knew that there was a platform for buying and selling SEO services. I would be more interested myself in the selling of services. I could easily see how small businesses could make use of such a platform. I would also of course enjoy such a product and making good relationships with businesses that need their websites ranked better on search engines. Nice review here. Well you certainly can sell services there and the members in the Community will happily help you with tips to get started. I haven’t put up any services for sale but I have seen newbies join and get help from the more experienced members and then seen them start making sales. If you want to start selling SEO services I highly recommend SeoClerks! It sounds like this place is pretty good as long as you know a bit about what you are looking for. Like you road, there are trolls just like in any business except maybe Wealthy Affiliate, I have yet to run into any bad apples there in over 5 years. :). Thanks for the review, I have been meaning to check this out! Yes it is important to have some knowledge and know what you are looking for when you head to SeoClerks but really there is a wealth of information there and the discussions and things discussed in the Community section have been so helpful for me. That’s a very informative blog – I haven’t heard of seoclerks before but off the back of your piece I will be joining and making the most of it as well. As we all know, it is death by information overload on the net and when you throw in scams as well, it can get just too difficult. I’m a member of Wealthy Affiliate which I love because of the training and community and it sounds like seoclerks is another reputable service. Thanks for your advice! Yes it is a great community to be a part of and to learn new things! I find there is a difference to the conversations at Wealthy Affiliate and SeoClerks, when you have some more experience online you may find the types of things discussed at SeoClerks much more on your level…. Wealthy Affiliate offers loads for newbies and advanced marketers… and it is very much focused on training and support. SeoClerks are discussions between experienced online marketers and SEO experts so it is really helping me to open my eyes to the wider world of SEO and online marketing. I have never heard of Seoclerks, this is a great find. I do disagree with one of your cons, the charge made for postings. If it’s free to join, its fair for the owner to charge a percentage of the fees charged. I’ve browsed briefly through your link and will definitely be revisiting. This is now bookmarked and added to my reosurces folder. Oh yes I agree that is fair, of course… but as opposed to selling your SEO services directly to companies where you keep the whole amount well then it would be a bit of a con right? Of course like I said the benefits far outweigh the cons. Plus you can just add on the 20% to your end price so you end up making the same if you were selling directly to the public. I feel that the marketplace offers so much more protection for sellers and such a great platform that yes the 20% commission is not much at all. I was looking to find an affiliate directory and I landed here and skimmed through this review so sorry if you already answered my question. Is this basically the same deal as like the Clickbank marketplace? Offering products and services to earn an affiliate commission? You get SEO help to increase your organic traffic flow to your website? This is simply a marketplace where you can buy SEO services, or you can sell SEO services. The other option is to promote other people’s services or the marketplace in general and make affiliate income. So yes you can buy services to increase your SEO and get more organic visitors. This is going straight into my bookmarks! Thanks so much, in addition to being just an all around well-written and informative article, this is also super helpful. I had never heard of SEO Clerks before, but now I’m definitely going to have to give them a look. Thanks so much. I’ll be honest, I thought this was a scam when I found it in my email. Just conditioned like that, I guess! But seriously, this is really cool. I’m definitely gonna check it out. SEO has never been my strong suit, and I’m pretty sure the freelancers here are more useful than somewhere like Fiverr right? Thanks for the in-depth review Lynne! Mohammad the difference between Fiverr and SeoClerks is that I think SeoClerks is a lot more professional and they are much more devoted to offering more specialized SEO services. Plus there are cheaper services than $5 which is also cool. Mohammed no worries about thinking this was a scam. I have to tell you that I see so much BS all over the internet. I hardly believe a thing anymore. In my eyes everything is a scam until I can clearly see otherwise. What a terrific review of SEO Clerks. As someone who’s on the lookout for new tools, software and resources for my online business I’m glad a stopped by for a look. This was a Gem for me! The guys over at WA are awesome and without them I never would have found you or SEO Clerks. I am so glad you are enjoying the community at SeoClerks, I have found it a great way to network in addition to Wealthy Affiliate 🙂 Plus the 10% lifetime affiliate commission is awesome. I have been making a nice side income from that lately.